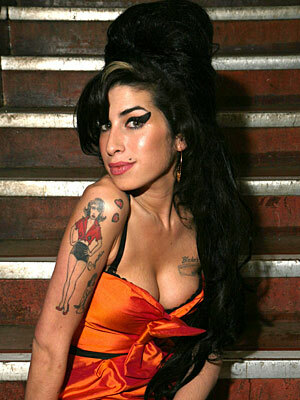 It was reported that Amy Winehouse died July,23rd, 2011. She was one of my favorite singers. I have about five copies of her BACK TO BLACK, album, which I bought when it came out. I played her everyday for one year straight. In my house and In my car. I knew she would not have a long life and I told my children, family and friends. She was lent to us just for a little while and she would soon return, to the Uninverse to assist other greats who lived among us from the realms. The first time I heard Garnett Silk sing, I had just turned on my radio and he came over the air waves full blast singing, with his sweet melodious voice, I was in my shop at the time and I loudly declared that he would not live long. It came from nowhere. Great musicians, artist, composers and others hardly ever do. The ones such as Bob Marley and the likes of him, those who came with a difference, a different kind of vibe and energy that affects the world, John Lennon, Fred Mercury. Who touch the core of mankind throught their extraordinary talent, Michael Jackson, Janis Joplin, Selena Kirk Cobain, Jimmy Hendrix, Biggie Smalls, Tupac Shakur, among others, unique in their thought and how the world saw them. They came to show us how it is done. Then they leave to continue their work in the realms of Spirits. Residing on the Higher mental plane. Still alive, still doing their work. Still creating. We saw them as troubled souls while they were alive, plagued with problems of drugs, crime, family life or whatever. They were geniuses!!. Go and rest Amy Winhouse, your name will keep you alive here on earth with us, as we will forever play your music and enjoy your songs. Go my darling and send for us here inspiration to try to create even a fraction of what you did. I have re-posted this post because it gives great insight as to the inner workings of the universe and how muscians and artist inspire us. Big Up Tenoe Saw, Dennis Brown Gregrory Issacs, Lucky Dube, Jacob Miller, Barry Brown, Dennis Brown, Pan head, Peter Tosh, The great Joseph Hill from Culture, and other…….. I notice that some of the deeper spiritual post that are entered into Embracing Spirituality, are not paid much attention, no comments what so ever, and it is much disconcerting to me that no one has not even a thought even a question. Let us not shy away from things that the mind do not comprehend or cannot relate to. We all have questions that needs to be answered, and even if you visit the site for the fun-loving energy, the camaraderie of it all, I Obara Meji, do want to pause and think, just for a moment, and ask your self what have I learnt today?. Because Knowledge Is Power, and also Knowledge is a legacy, and inheritance worth more than its weight in Gold. Take away from each post what you will, because you might not all the times agree with the writer, but the magnificent thing about that is then you have the opportunity to say what you feel, to ask questions, or to challenge. Obara Meji welcomes your mind. That is my attraction to human beings, THE MIND!!! !, I love diversity in thoughts and opinions, because that is the key for learning. Someone that society call mad WILL have something to say, but if you find the time to sift through his ramblings you will often times find wisdom. Do not look down on anyone because you believe his or her thoughts are simple, because we all learn from each other, and even a child can lead the way!!. Read with understanding!!!. skulle jag ha möjlighet att uppleva det. I’m not sure whether this put up is written via him as no one else realize such detailed about my problem. You’re incredible! Afternoon Rayne….where u been man? Afternoon all, Yes Amy was a great artist. Its a shame such good talent comes and goes like that. Understanding the laws of karma, in allowing you to be elevated on the astral plain.Deep Obara…. deep! Nutten mi dear, mi deh yah…..How u do?